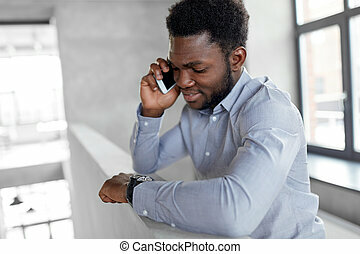 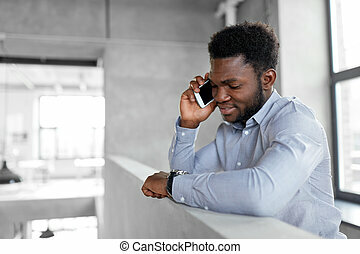 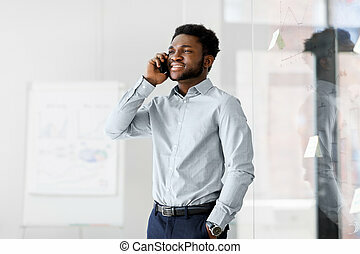 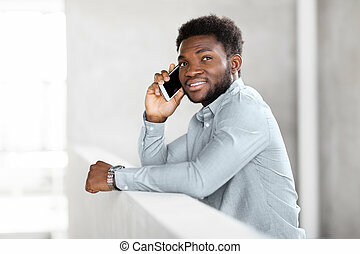 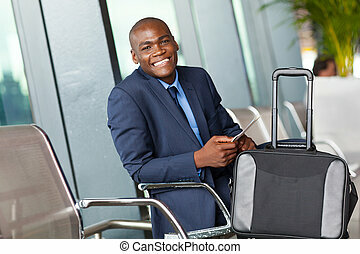 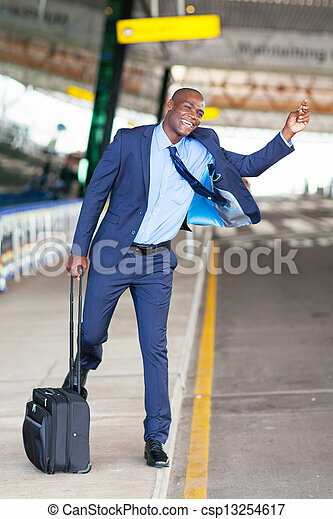 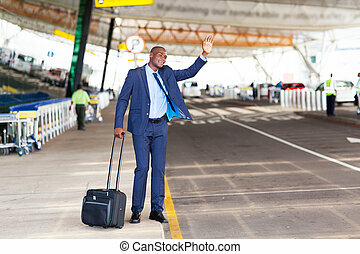 African businessman calling taxi at airport. 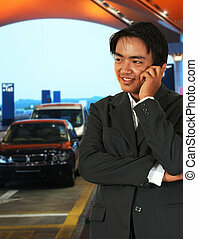 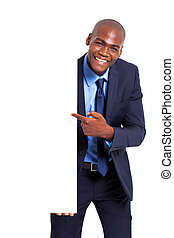 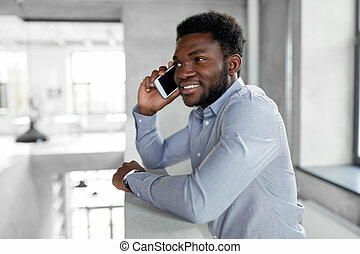 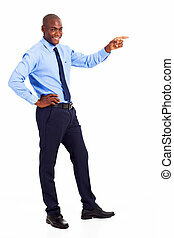 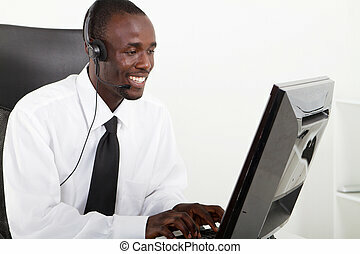 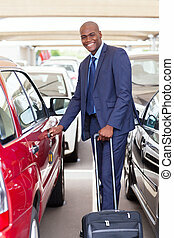 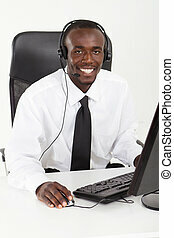 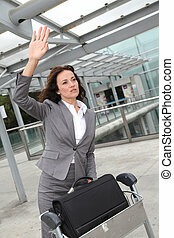 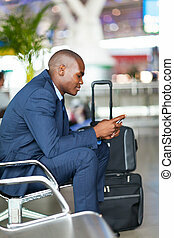 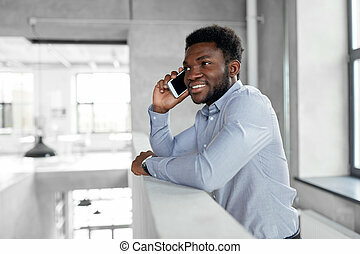 Funny african american businessman calling taxi at airport. 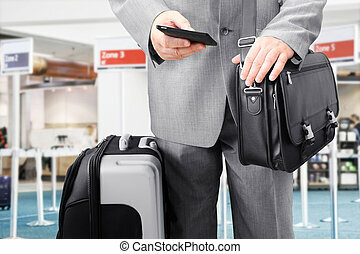 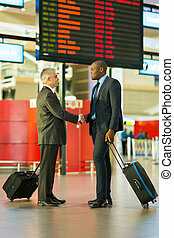 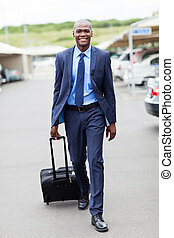 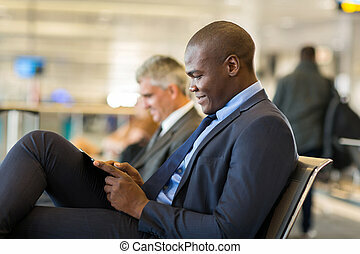 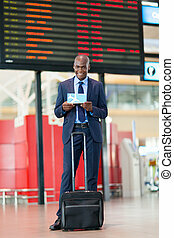 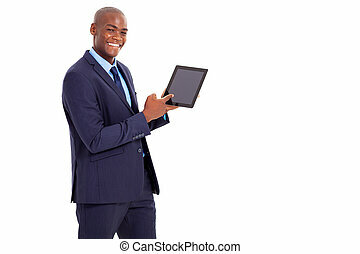 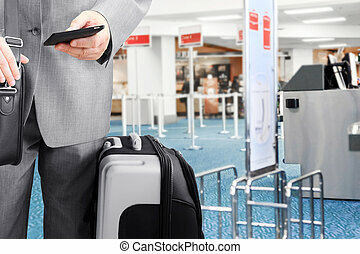 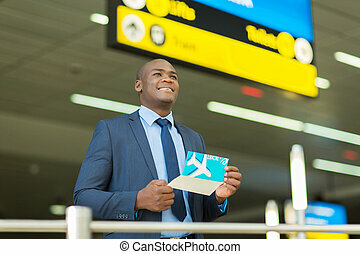 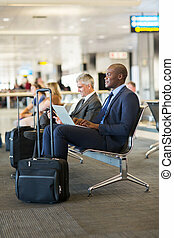 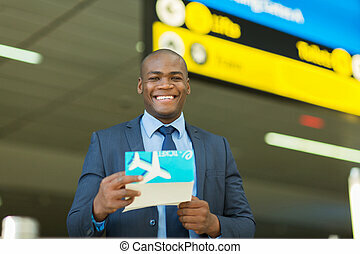 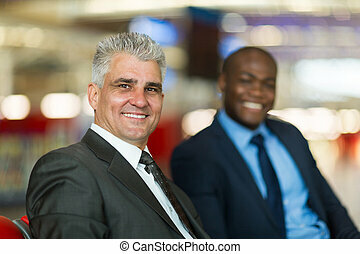 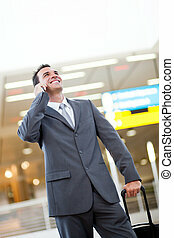 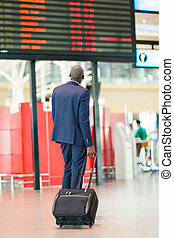 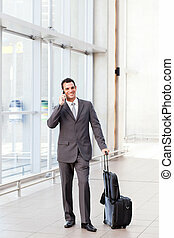 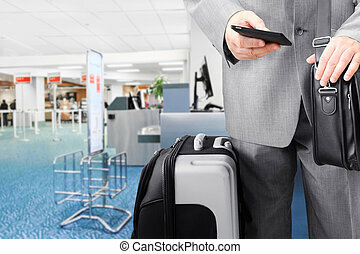 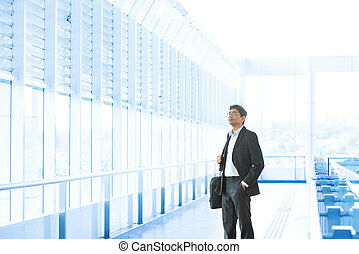 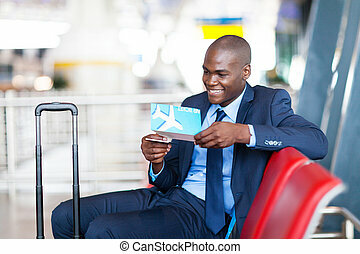 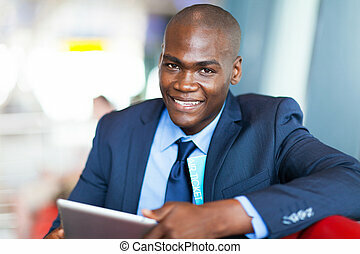 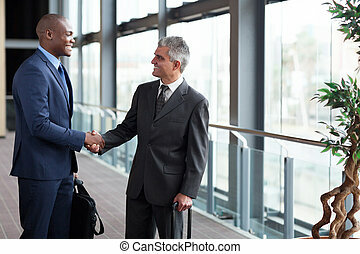 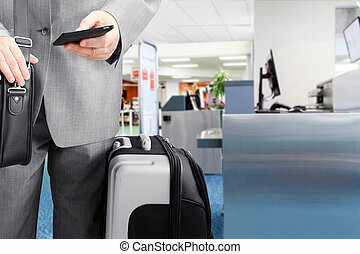 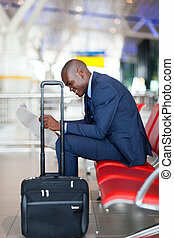 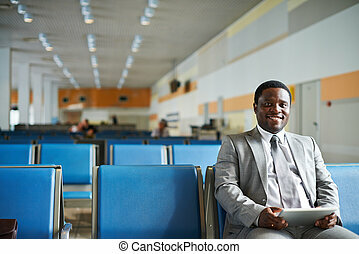 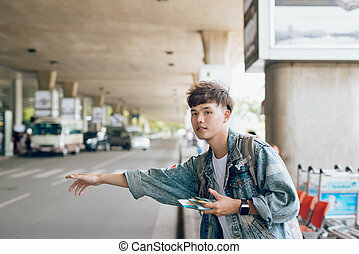 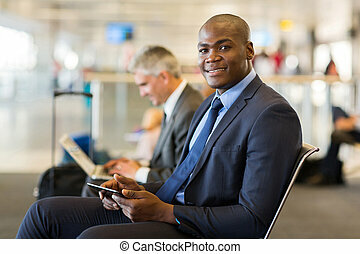 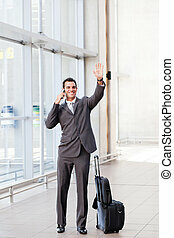 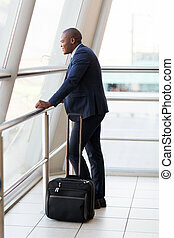 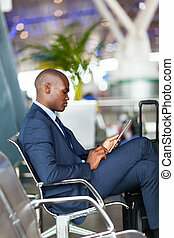 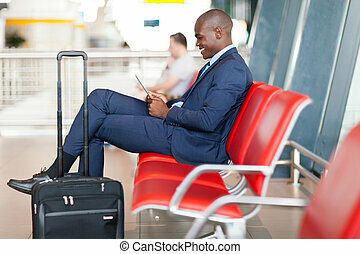 Asian Indian businessman at airport, business travel concept.